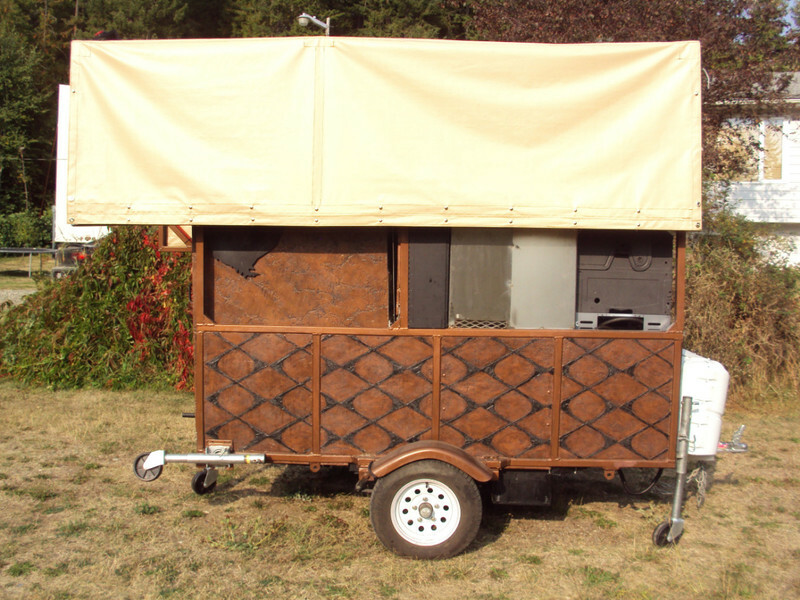 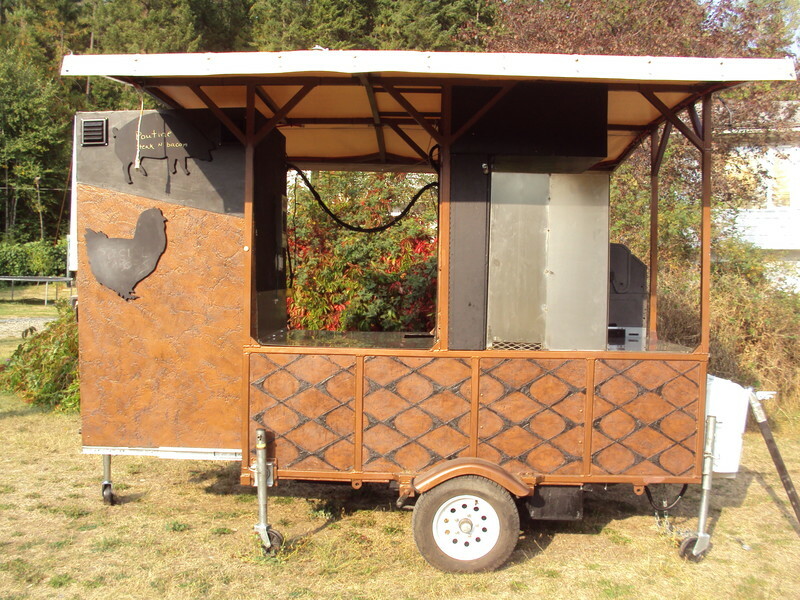 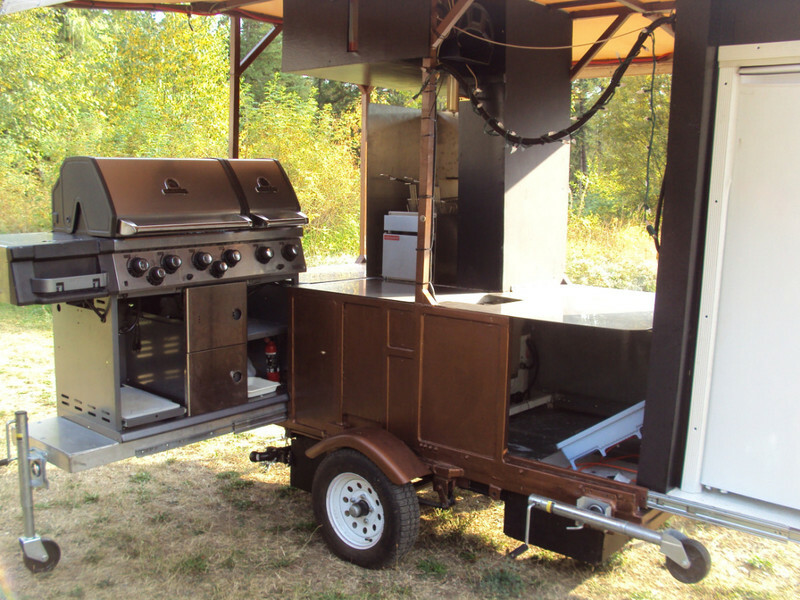 Aluminum (tow with a car) food cart. 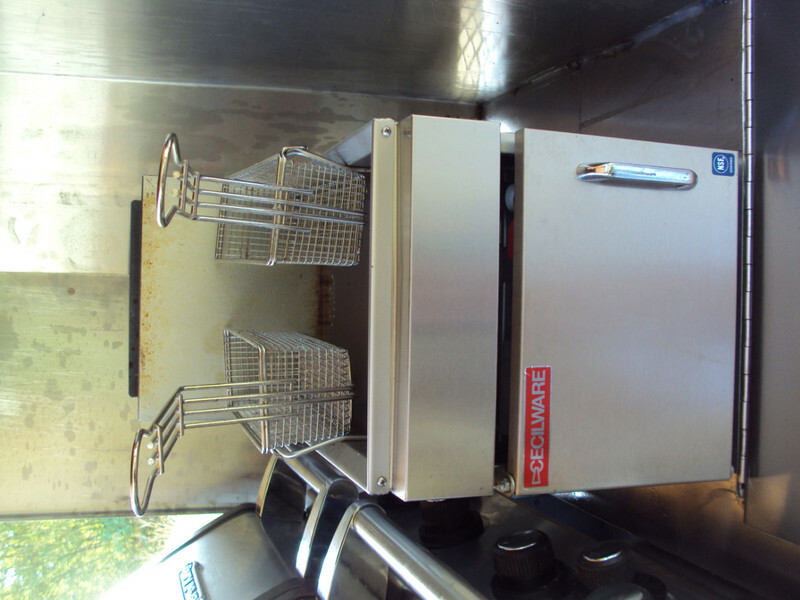 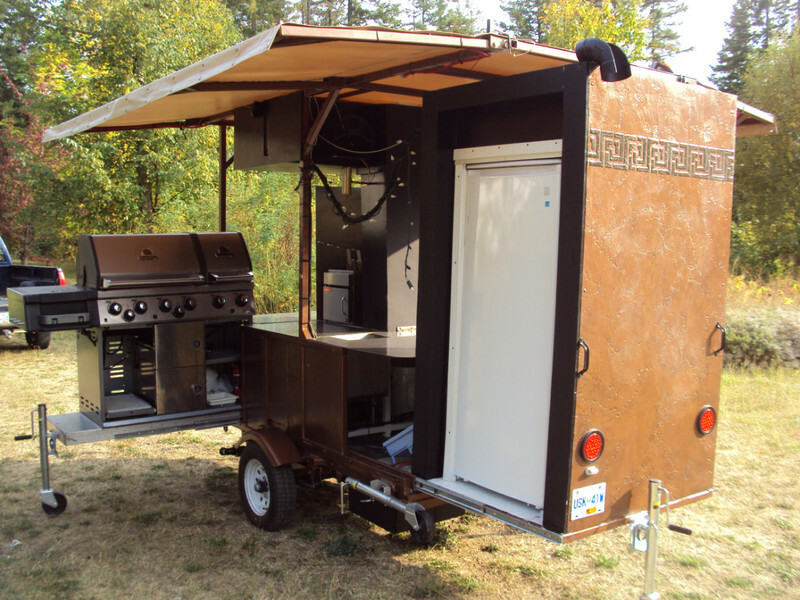 Features four sinks, apartment size fridge, deep fryer, deluxe BBQ. 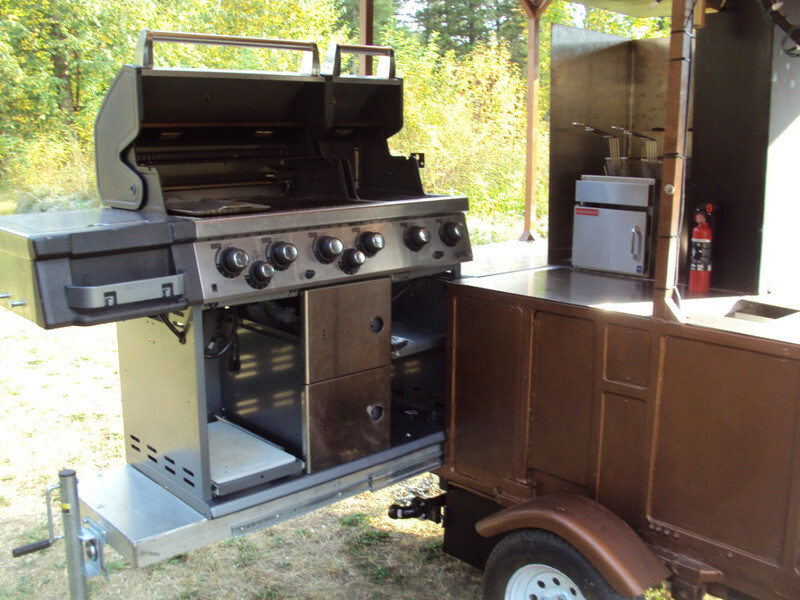 Requires little space to store and can fit in most locations.